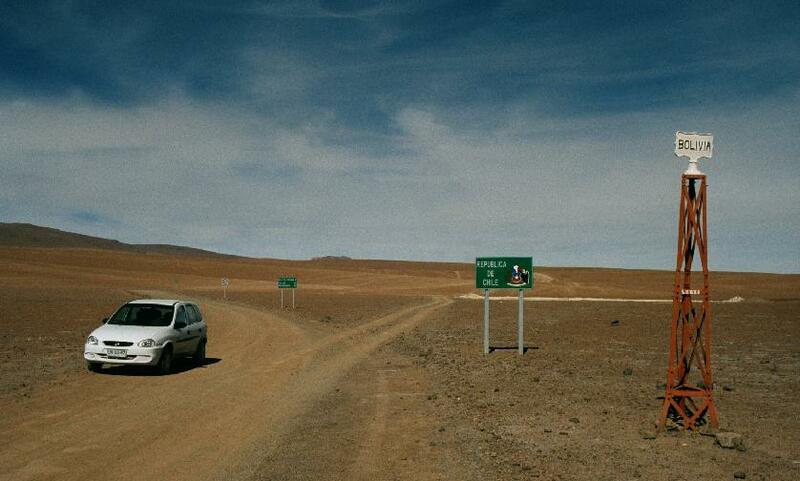 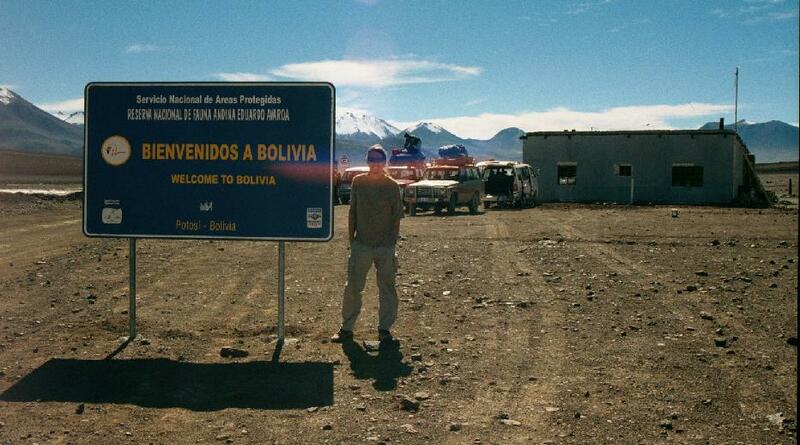 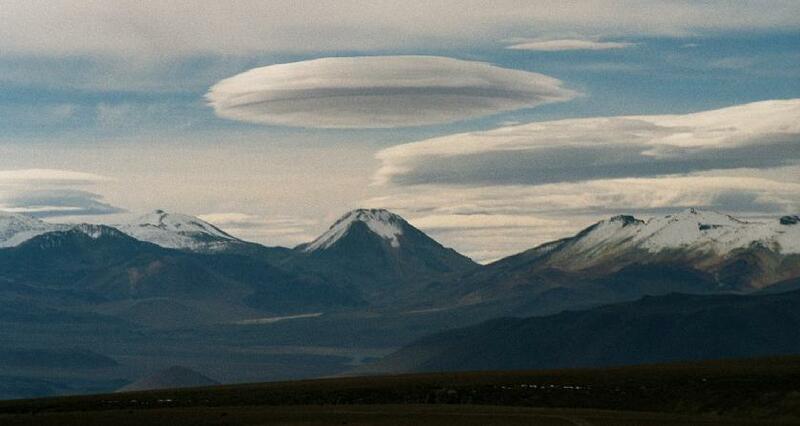 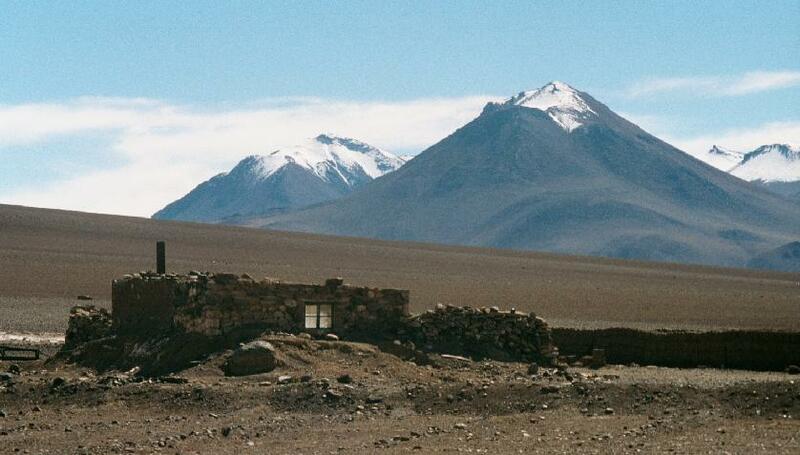 Hito Cajón, at the border with Chile, on the altiplano at an altitude of 4200m/13800ft. 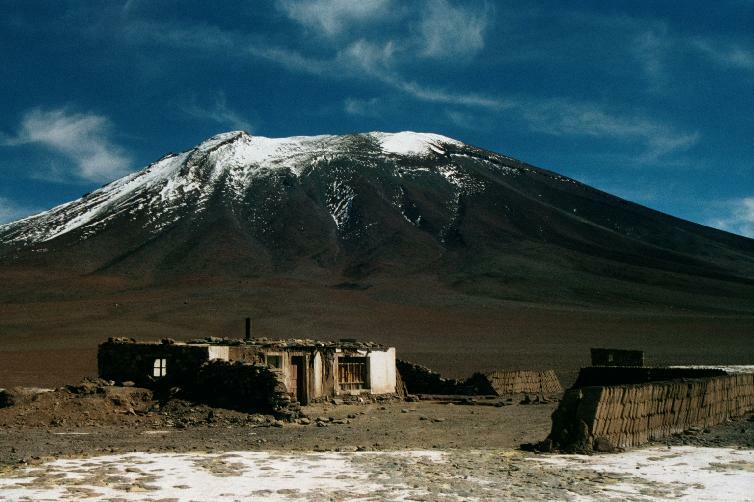 Volcán Juriques (5704m/18700ft) looms in the background. 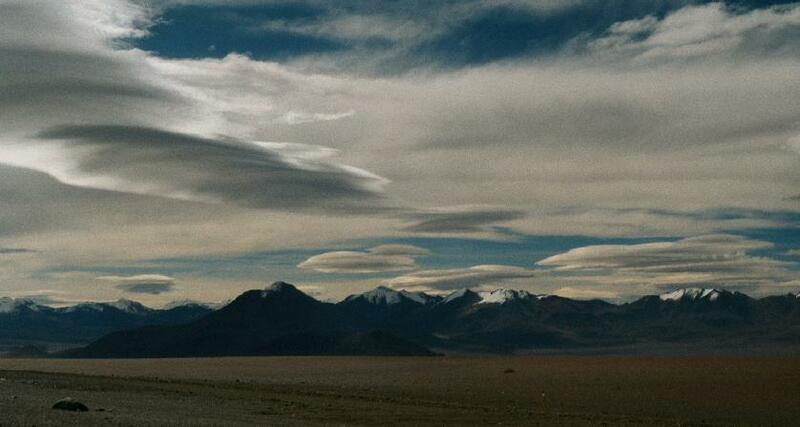 In the distance are the Laguna Verde and the Andes.